I just checked out Lockheed Martin’s NextGen briefing site (basic registration required). I think I’m safe in saying the interface and usability might even be a few generations better than DUATS. Here are some highlights I noticed in just a few minutes of playing around. 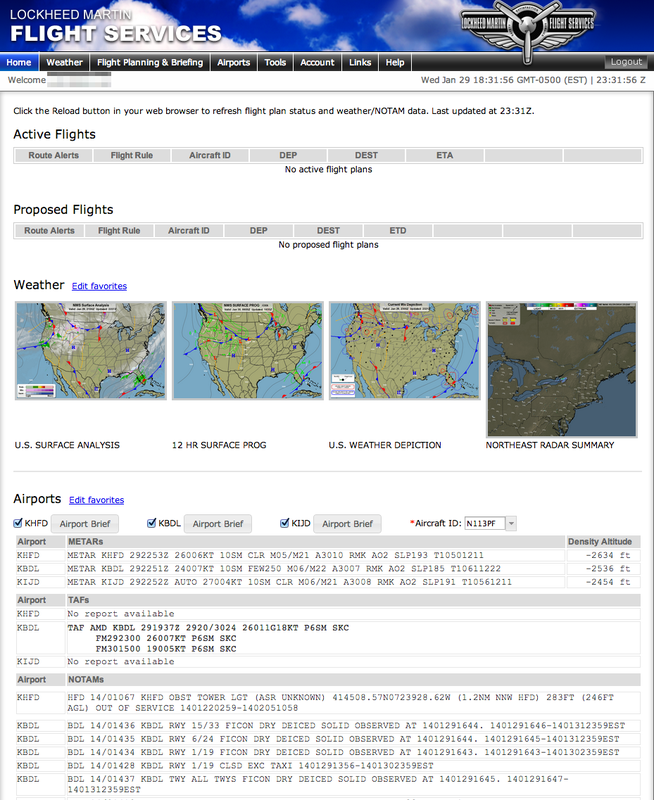 The home page seems to be the standard customizable layout based on your favorite airports and weather charts, with a modern user interface (my day job is an enterprise cloud software product architect so I do speak a little UI). After requesting an outlook briefing I stepped through the standard results. I was greeted by a pleasing split screen showing data with an interactive map. 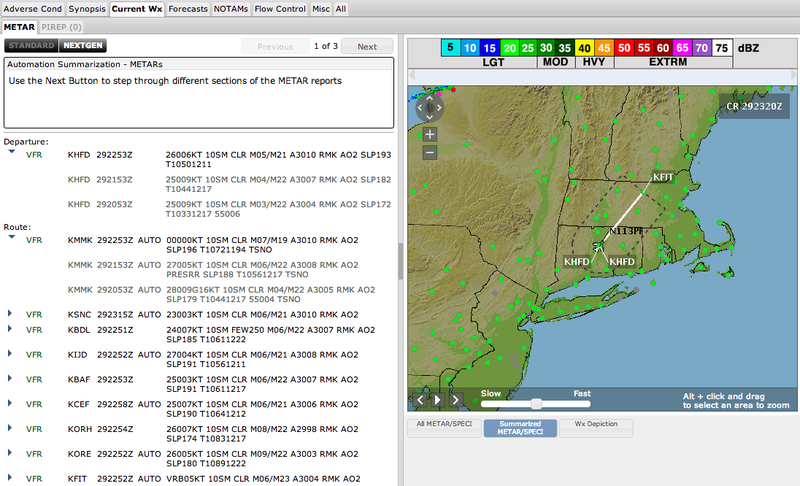 The NextGen METAR data also includes the past 2 reports so you can easily identify trends. 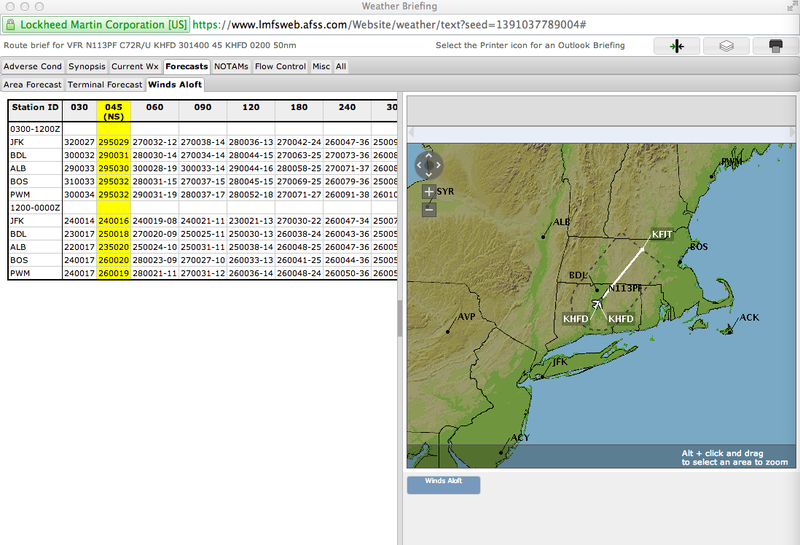 The TAF projected “passing time” intelligence helps identify the TAF report that’s closest to your local and time based on your filed airspeed. Again, I really like the nice clean interface and split screen. Next up is the Area Forecast. 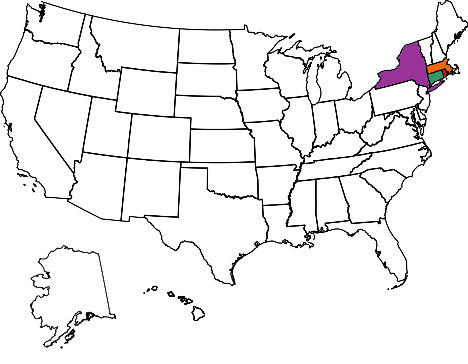 Most are pretty easy to follow based on the location abbreviations, but if it’s an area you’re not familiar with deciphering can be a bit tricky. The NextGen solution here is to split the data by region and highlight the data and map location as you flip through the breakdown forecast areas. The last feature I’ll point out is for those that suffer from mathematical anxiety (I would hope there’s not too many pilots like that). 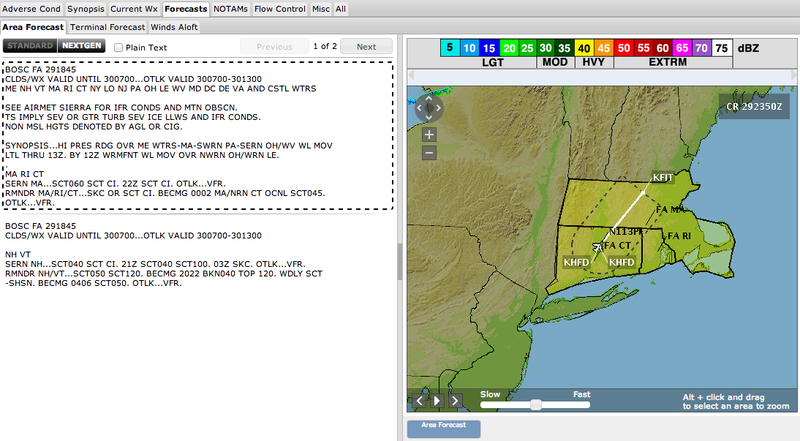 The Winds Aloft forecast will actually interpolate the wind direction and speed for your filed flight level. 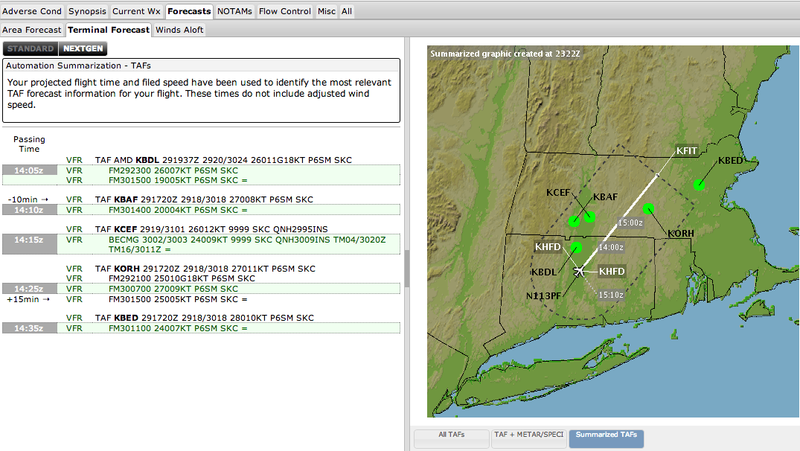 Most flight planning apps already do this for you behind the scenes, NextGen just exposes it. This is a nice little shortcut for the student pilot that is still planning cross-country flights with a plotter and E6B. Now it’s one less calculation to make but you can still feel like your actually doing the planning, as opposed to just using an app. Just when my adventure was going so well, I clicked the weather tab. As expected the graphics are clean and easy to read. The problem I have is that when I’m looking at weather charts I want to click through them quickly, especially if I’m trying to build the trend across prog charts. 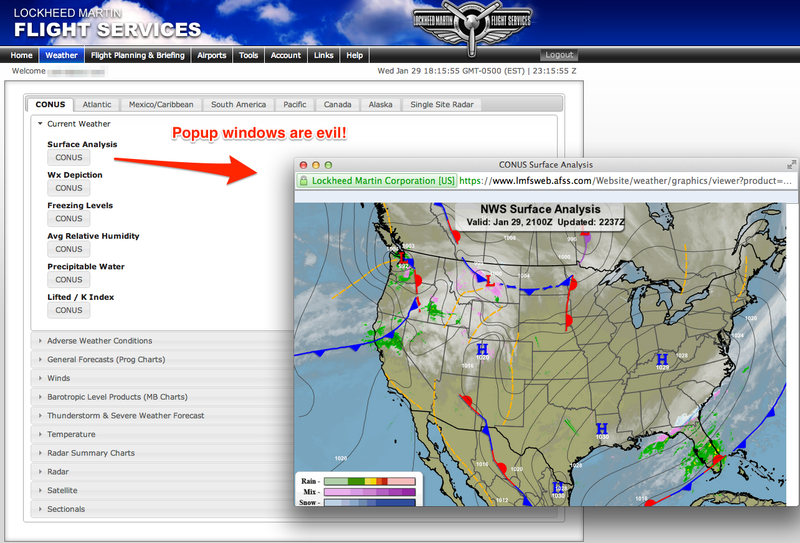 I like to have an easy way to navigate in as few clicks (or preferably keystrokes) as possible. You can see here that when you click any of the charts, you get a new browser window. You then need to close that one (unless you’re the type to leave orphaned windows everywhere) and click the next chart you are interested in. Yes, I do see some benefit to this model. If you like to be able to see a collection of charts at the same time, you can open as many as you want and arrange the windows to build your own weather collage. Maybe I’m in the minority here. There’s a lot more to NextGen, including a bunch of new flight plan filing and closing features but I haven’t got that far yet. When I do I’ll be sure to post an update. For more information, head over to LockheedMartinVideos YouTube channel. This entry was posted in Reviews and tagged apps, reviews. Bookmark the permalink.